Everyone has their own favorite spin on the classic mac and cheese, but prepare to make room on your roster for this one. 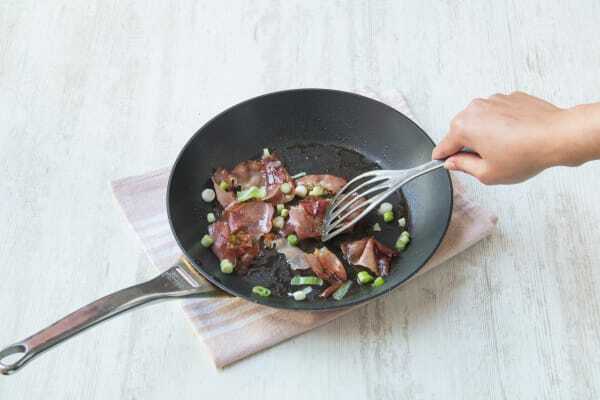 When it comes to cooking, a little pancetta makes everything better. Reduced-fat milk and cauliflower make this comfort food winner just a bit more virtuous. Preheat the oven to 400 degrees. Bring a large pot of water with a large pinch of salt to a boil. Once boiling, add the pasta to the water and cook for 8-10 minutes until al dente. Drain. HINT: Toss the drained pasta with 1 teaspoon olive oil to prevent it from sticking. 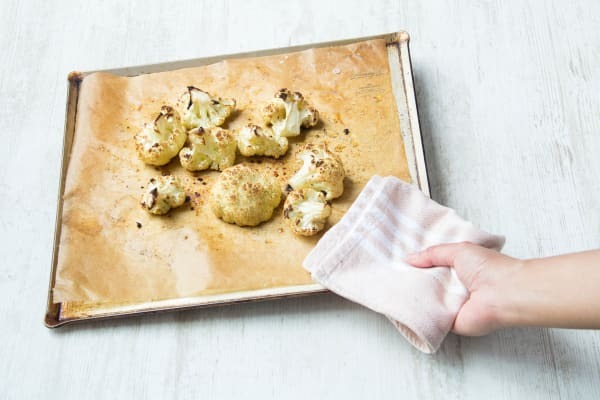 Toss the cauliflower on a baking sheet with 1 tablespoon olive oil and season with salt and pepper. Place the baking sheet in the oven for 20-25 minutes until golden brown and tender. 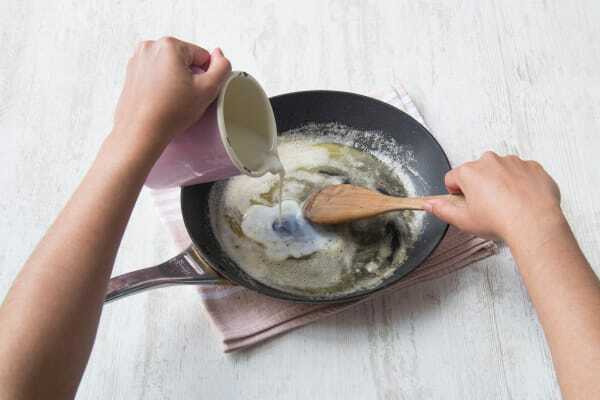 Make the cheese sauce: heat 2 tablespoons butter in the same pan over medium heat. Once melted, add the flour into the butter and cook, whisking constantly, for 1-2 minutes. Very slowly whisk the milk into the pan a little bit at a time until combined. Add the stock concentrate to the pan and bring the mixture to a simmer for 1-2 minutes, until thickened. Remove the pan from the heat and stir in the cheese. Season with salt and pepper (to taste). Stir the pasta, pancetta mixture, and ¾ the cauliflower into the cheese sauce, then transfer mixture to a lightly oiled baking dish. 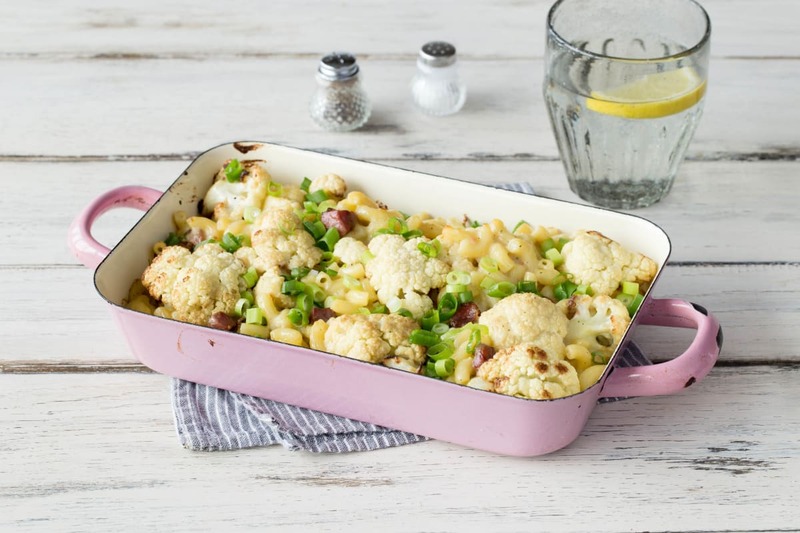 Top with the remaining cauliflower, then transfer dish to the oven to bake for 5-7 minutes, until bubbling.